Born in Kiev, Ukraine, Irina Tarsis, Esq. is an art historian and a practicing attorney in New York. She earned her Masters Degree in Art History from Harvard University and her J.D. from the Benjamin N. Cardozo School of Law (NY). In 2012, she took over what is today Center for Art Law and made it a sustainable non-profit. An active member of multiple bar associations and art law committees in New York, she also personally contributes to scholarship through regular publications and lectures on various topics, including resale royalty rights, due diligence in provenance research, and fair use issues affecting visual arts. Born in Paris, France, Louise Carron pursued her undergraduate studies in French law and Common Law, completed by a Master’s degree in Comparative Business Law from the Université Paris Nanterre. She moved to New York to pursue an LL.M degree from the Benjamin N. Cardozo School of Law (NY) and graduated in 2018. She is being admitted to the New York Bar and she believes in helping artists to protect their creations, rights, and legacies. She manages the Center’s daily operations, including editing and reviewing articles and the Center’s monthly newsletter, coordinating events, and supervising interns. Guest Editor: Tess Bonoli (Newsletter). Legal Interns: Lesley Sotolongo (Spring 2014); Dennis C. Abrams (Spring 2015); Melissa (YoungJae) Koo (Spring 2015); Debra Friedmann (Summer 2015); Adir Paner (Fall 2015); Scotti Hill (Summer 2016); Samantha Elie (Spring 2016); Jessica Preis (Spring 2016); Bianca Acquaviva (Spring 2016); Heather DeSerio (Spring 2017); Marine Leclinche (Spring 2017); Alexandra Terrell (May 2017); Colby Meagle (June 2017); Wylie Rechler (Summer 2017); Kathryn Moynihan (Spring 2018); Louise Carron (Spring 2018); Hanna Feldman (Summer 2018); Mia Guttmann (Spring 2019). 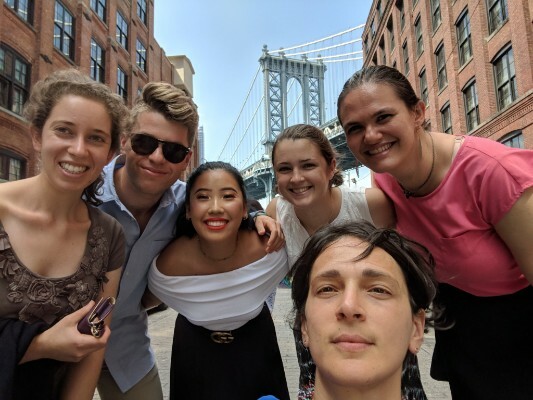 Postgraduate Fellows: Jessica Curley (Fall 2014), Mia Tomijima (Spring 2015); David Honig (Fall 2015 – Spring 2016); Elizabeth Weber (Spring 2016); Michelle Park (Fall 2016); Adelaide Dunn (Spring – Summer 2017); Caroline Keegan (Summer 2017).